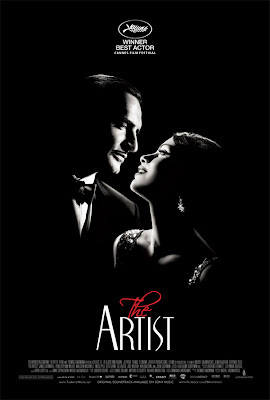 Home » movies , reviews , the artist » Chris watches THE ARTIST and loses his mind over its beauty and brilliance! Chris watches THE ARTIST and loses his mind over its beauty and brilliance! 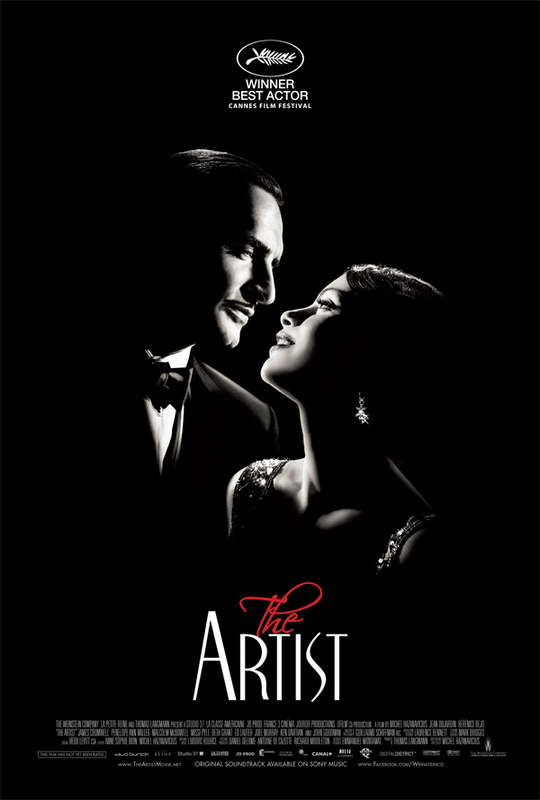 The Artist is the best picture that came out in 2011. Nothing else comes close. I found myself thinking that yesterday as we were watching it (at the Carousel Grande Cinema 15 in Greensboro) and the more and more that I've thought about it since the more resolute I am in that belief. They just don't make movies like this anymore, folks. And I do not mean anything about how director Michel Hazanavicius chose to make this a (largely) black and white silent film in the style of the late 1920s (including maintaining the era's 1.33:1 aspect ratio, which I thought was truly class). This is... well it's the kind of movie that if you've ever complained about how movies aren't as good and clean and imaginative as they used to be, then you owe it to yourself to see The Artist. It's just quite simply the most amazing film that I have seen in a long, long time!! The Artist is about George Valentin (played by Jean Dujardin), an actor enjoying enormous success in the silent movie era of motion pictures. By accident he meets Peppy Miller (Bérénice Bejo), a young admirer who finds herself in a photo alongside Valentin on the front of the next day's Variety. Valentin goes out of his way to give Peppy a role in his next film. It seems to be all going so well until two years later when the "talkies" burst onto the scene. Valentin derides it as just a passing fad, and to prove it he produces and finances his own silent movie. But audible dialogue has won over the vox populi, and Valentin's days as a silent star are dashed. He must watch in growing despair as the studios go for younger, fresher faces... which includes Peppy. I'm not going to synopsisize it anymore, folks. Because you really oughtta go into The Artist unawares. It has won a slew of awards already and looks poised to be a major contender at this year's Oscars. If so it owes it as much to the insanely strong ensemble casting as it does to its beautiful cinematography. Look for John Goodman, James Cromwell, and Malcolm McDowell among others. But the real scene-stealer has to be Uggie, the actor (yes, he is!) playing Valentin's dog. I swear folks - and I'm far from the only one in this as it turns out - but Uggie's performance demands that he gets a nomination for Best Supporting Actor at the Academy Awards. That dog pulls off more sincere heartelt acting than a lot of performances in movies nowadays. Okay well, I don't honestly don't know what else to say 'cuz The Artist blew my gray matter apart with its style, its story, its acting and its comedy (of which there is plenty). HIGHLY recommended!! And I shall most certainly be adding the Blu-ray of this movie to my collection as soon as it becomes available. Saw this movie with my wife on Friday night. We loved it too! Its practically the perfect movie and make mine a vote for an Oscar for Uggie. Just got some Oscar noms today, including best picture, supporting actress, lead actor, and best director!